This would be an amazing Father's Day gift. How fab are these?! The Sonogram Photo Cufflinks feature your very own bun in the oven. 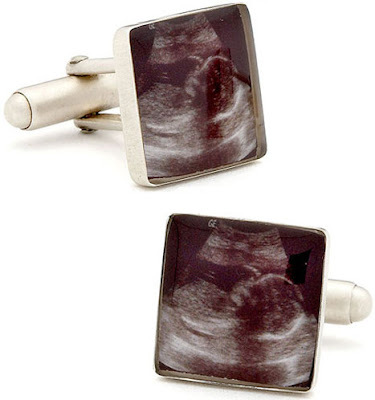 Send us your own sonogram photos and become a cufflink designer instantly. Up to 2 different images can be used. This is truly unique gift and amazingly personal. There is no better way to surprise a first time Dad or to show off that you are a proud to-be parent.